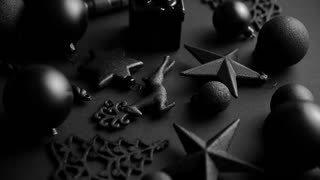 Christmas minimalistic and simple composition in mat black color. 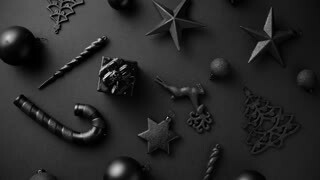 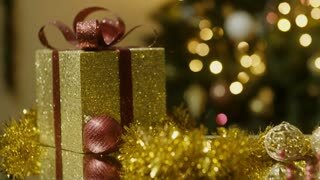 Christmas gifts, decorations on black background. 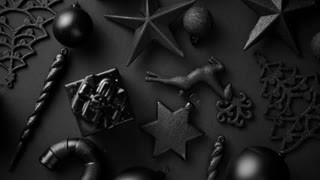 Flat lay, top view . 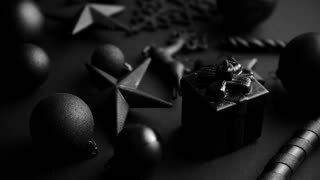 Christmas sweets composition. 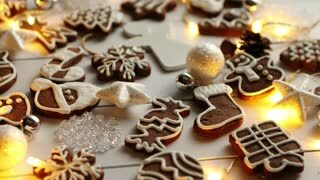 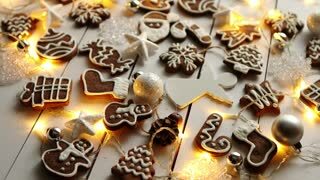 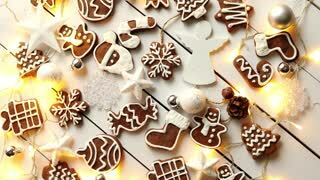 Gingerbread various shaped cookies with xmas decorations arranged on white wooden table with lights.